This entry was posted in Current Affairs and tagged 2015, adolf hitler, alexis tsipras, angela merkel, godwin's law, nazi, nazi analogies, wolfgang schauble. Bookmark the permalink. You are quite right, currencies are what?, 98% digital already. The problem with virtually every economist and pundit is they are not only ignorant of the true problems and solutions for modern economics, they are just as ignorant of money systems. And to top it off they are actually hypnotized by the idea of debt so they follow the financiers and Bankers blindly into the financiers’ and bankers’ dominating profit, the economy’s instability, periodic “unrepayable” debt, unnecessary human suffering and historically rhyming war as the stressed out “solution”. If it wasn’t so pitifully stupid and tragic….it would be funny. Of course if they would simply momentarily stop splashing around on the surface of accounting trying to make sense out of the abstractions of debits and credits and look at the 3 and 4 dimensional datums of cost accounting they’d actually see the empirical evidence (this is what scientists allegedly do with the scientific method) . Then, seeings how those datums will reveal a trend in every ongoing enterprise, if they just did the calculus they’d be able to decipher the DYNAMIC realities of the economy and money system….and craft policies that actually addressed and solved the problems. But it takes an awakening from the spell of the idea of debt first. As for the devaluation and instabilities of a new currency if you distributed actually sufficient amounts of it (as in more than the Banker’s normally like so as to befuddle everyone with austerity) and combined that with a policy of a retail discount that is totally rebated back to participating merchants and that is based on the formula of the total costs of what is consumed over the total costs of production (probably a 40-50% difference) …we could all happily advance toward the abundant, profit making and sane future that technology and AI is trying to enable us to do….if we would simply come into a new unit of time and out of the spell of the paradigm of Debt ONLY. 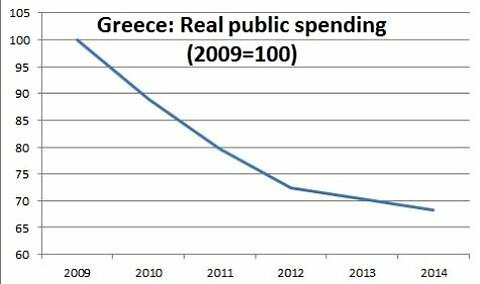 There can be no question that austerity will make things worse, if that is possible. There is also the possibility that. as usual, the bankers will make out like bandits, and the taxpayer will take it on the chin. Very reminiscent of comments Thomas Piketty made this week, and absolutely correct. We have short memories and learn nothing. Austerity is a recipe for war; should the Germans remember their own history, they would know that. Excellent post. 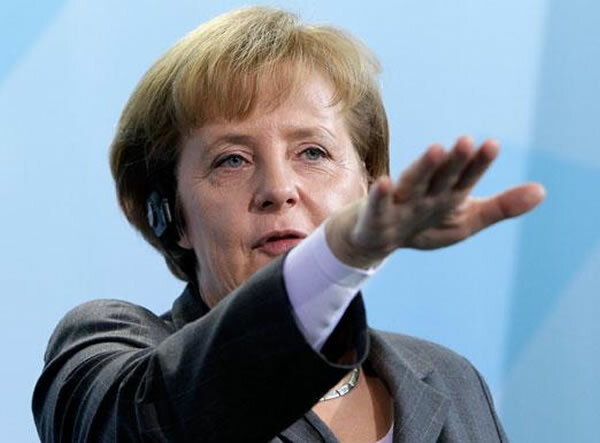 Germany should leave the Euro-zone. That would solve all problems. This is madness, but I feel it’s going to get much worse.